Home > Considerations > Is Property A Good Investment? For many years, property was seen as a guaranteed way to make a good profit. Yet despite property still dominating the top of the list for those looking for substantial returns, this form of investment has lost some of its shine of late. Rising house prices over the years meant that anybody investing in property saw good returns. In the early 2000s, property owners were seeing returns of up to 79%, and even higher when the property boom years hit between 2006 and 2008. Those living in city locations benefitted from even higher gains between 2000 and 2007, with some sellers in London reporting returns of up to 120% of the property’s value. But since then property prices have remained static and in some cases fallen, prompting people to ask whether property is still the investment opportunity it once was. The key to making any investment worthwhile is to hold onto it for as long as possible, and the same rule applies to property. If you are looking for a quick return, property is not the answer. In most cases, it will take at least five years before you start to see a good return from property, provided that you have chosen your property wisely. Some properties will offer better returns than others. If you are buying your property as a residential second home, it is unlikely you are going to see a huge return in the first few years. There are, however, some key factors that will always make a home a good investment, such as location, demand for the property, transport links and the refurbishment potential of your home. 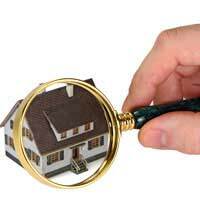 Before you buy any property you should do your research into the location. Find out what properties in that area were selling for five, 10 and 15 years ago, so you have an idea of whether those homes have gone up in value. Think about whether there is demand for the home you are buying, if it's been on the market a long time, and if so why, and whether you will be able to sell on quickly. There are some properties you should avoid if you are looking for speedy returns. These include new build homes, one-bedroom flats and houses that are in bad locations. If you are looking to rent out the property, check that there is sufficient demand for rental properties in that area. You will need to balance demand with supply, for example, if the area is saturated with rental properties, this could create little demand for your property. It is also important to look at the potential of your rental property. Will it sell to people wanting to live in the property and not just those wanting to rent it out? How much rent can you expect to charge in the area it is located, and will this be enough to cover your mortgage payments? Consider what would be the best use for the property. If there is a high demand from families, you may want to convert your property into a family home. But if the area is highly sought after by students, you may want to separate the property into one-bedroom flats. Property has always performed well when pitched against other potential investments. The property market offers better returns than other options, such as savings accounts, the stock market, wine, art and gold. However, the problem with all of these investments is that they can be risky. Generally, property will offer at least double the return of the above options over a 10-year period. A recent survey carried out by one holiday letting company found that those purchasing a second home favoured buying property as an investment over other options, such as a pension or savings account. Out of those surveyed, 33% used cash and savings to purchase their holiday home, and a further 20% remortgaged their home in the UK to buy the property. With more people finding it harder to get a mortgage and a foot on the property ladder, the demand for rental properties has never been higher. If you have the money to invest and choose the right area, you will see good returns on your investment. Property should be seen as a long-term investment and, like all forms of investment, it does not come with any guarantees. But property will continue to offer one of the best returns, as bricks and mortar will always be in demand.